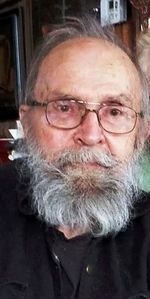 Obituary for John Irving Moan Sr.
John Irving Moan, Sr., 77, of Battle Creek, passed away Thursday, January 17, 2019. He was born October 30, 1941 in Battle Creek, the son of Harold and Mary Alice (Gaskill) Moan. John married Marcia Metzger on February 1, 1964 in Barry Co., MI. He retired from Kellogg Company after 25 plus years of service. He was a member of the Kellogg 25 Year Club. John raced stock cars in his younger years in Galesburg, Kalamazoo, and Hastings. He enjoyed working on cars, watching NASCAR, and he loved to fish. John was very mechanically inclined and loved to tinker. His greatest joy was spending time with his grandchildren and family. He is survived by his wife, Marcia; children, Ava (Doug) Goldsmith, John Moan, Jr., Doug Moan, Barry Moan, Lucy Moan, and Patrick Moan; sister, Mary Alice (James) Lacey; 16 grandchildren; 4 great grandchildren; and many nieces and nephews. He was preceded in death by his parents; daughter, Elizabeth Moan; siblings, Marilyn Myers, Harold Moan, Jr., and Elizabeth Smith. A memorial service will be held Wednesday, January 30th at 12:00 PM at Bachman Hebble Funeral Service. Burial will be at the Bedford Cemetery in Bedford Township, MI. Memorial tributes may be made to Haven of Rest.